The city's old name - Lacobriga - indicates that its origins are Celtic and date back to approximately 2,000 years B.C. For a long period it was a port visited by Phoenicians, during the Roman occupation the city prospered and grew. In the 10th century the Arabs built a double ring of ramparts, but this was not enough to stop the Christians conquering the city in 1249. The I 5th century was a golden age for Lagos. For 40 years, thanks to its location across the sea from Africa, the city became a port of departure and arrival for the vessels that set off year after year on voyages of discovery along the coast of that continent. A centre for trade in iron, gold, silver arid other exotic merchandise brought back from Africa, Lagos attracted merchants and bankers, Portuguese and foreign alike, and poured its wealth into new churches and sumptuous houses. New city walls, built in the 16th century; marked the urban expansion of the city, which from 1573 was an episcopal see and residence of the governors of the Algarve.The earthquake of 1755 and the tidal wave that followed in its wake destroyed much of the city, which only began to recover some of its former prosperity in the mid 19th century. Today Lagos is a bustling city, proud of its past. Of Arab construction, and possibly once a fortress, this building was altered on many subsequent occasions. 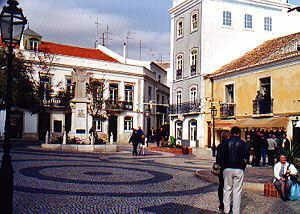 Duing the 16th and 17th centuries it was the residence of the Governors, Captain Generals of the Algarve. 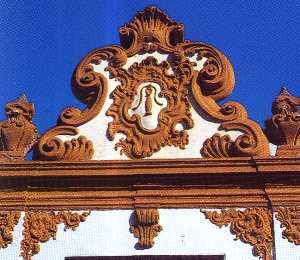 The facade includes a window in Manueline style where tradition has it, King Sebastião heard mass before setting off for the fateful battle of Alcácer-Quibir. In the garden there is a panel evoking this battle by the sculptor João Cutileiro, and a sculpture which is an illusion to the navigator Gil Eanes. 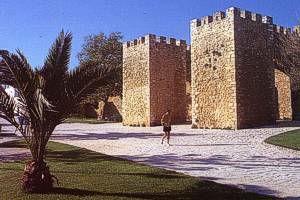 Also known as Forte do Pau da Bandeira (Fort of the Banner´s Mast) and situated near the stream of Bensafrim and the sea, Forte da Ponta da Bandeira is a defensive construction (18th century) with a moat and a drawbridge. The small strip of sand where it was built witnessed the first slave markets in an age when the Portuguese were engaging in their first maritime aventures, under the guidance of Henry the Navigator. Now, the place is used to celebrate one of the most traditional festivities of Lagos: the Banho 29 (Bath 29). Considered as purifying in ancient times, the local population travelled as it could to bathe in the sea at midnight, on the 29th of August. On the other side of the pedestrian bridge that opens to let sailing vessels of high masts pass through, the Marina invites you to enjoy the peaceful scenery of boats anchored in front of the esplanades. Attached to the Church of St. Anthony, this museum boasts an important collection of religious art works, with paintings from the 17th and 18th centuries. Built in the site where there once stood the Chapel of Our Lady of Conception, it was transformed into a church in the 15th century. It was enlarged and reconstructed after the 1755 earthquake. The Igreja de São Sebastião stands on a high zone of the city and has a great bell-tower with a clock. Inside there is a tall ceiling and three naves separated by Doric pillars. 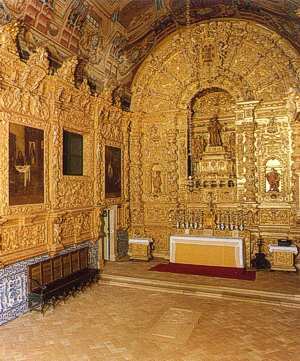 There are also side chapels, a Chapel of Bones and a gilded wood altar whose Crucifix is said to have been taken to the Battle of Alcácer-Quibir. The church has been declared a National Monument. Part of a former monastry, 16th century, it displAys harmonious proportions. Now in ruins. This building, which has a symmetrical facade, dates back to the 15th/16th century.Its main doorway has doric columns and busts of São Pedro and São Paulo on either side of the archivolt. The side doorway is dated 1568.